Three dads, eight kids and an office full of baby clothes and toys. This is the picture behind the ‘Finnish Baby Box’, a company now making Finland’s 80-year old maternity package tradition available to everyone. 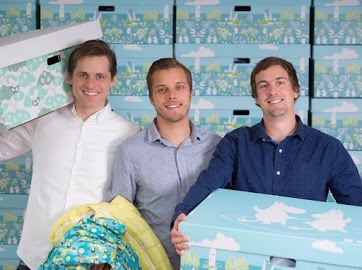 The founders of Finnish Baby Box, Heikki Tiittanen, Anssi Okkonen and Anton Danielsen, have eight children between them, three of which are still babies or toddlers. It means not only do they have plenty of experience in nappy changing and maintaining a work-life balance, but also of Finland’s famous maternity package. Since the 1930s all expectant or adoptive parents in Finland have been given a free baby starter kit stocked with every necessity a newborn needs: clothes, outdoor gear, even the box itself converts into a crib. The box was originally created to reduce infant mortality, but having succeeded in its aim (today the country has one of the lowest rates in the world) over 90% of first-time parents in Finland still take it over the alternative of a government maternity grant. Thanks to its reach, Finland’s national maternity package attracts a great deal of competition. Experienced and up and coming baby product manufacturers all recognise the prestige being chosen adds to their references. And the Finnish Baby Box lives up to this reputation. All products are chosen with functionality, quality and style in mind and sourced mainly locally from Finnish companies, including some specifically produced for the box. 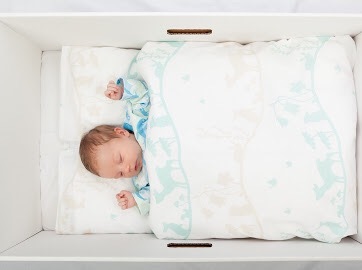 What has particularly raised international curiosity and headlines about the Finnish maternity package, and consequently the Finnish Baby Box, is the fact the box itself is designed to be used as a crib. The joke in Finland is that even presidents start their lives sleeping in a cardboard box. But the best jokes are based on reality. The bottom of the box is covered with a mattress and it comes with a duvet and sheets. A baby crib is ready. Danielsen, Okkonen and Tiittanen all took their first naps in the box and so have their children. “We have tried different bed alternatives and I can honestly say the cardboard box is a great place for a baby to sleep for its first 3-4 months. It is easy to move and place close to our own bed,” says Tiittanen. “This initially surprises our customers but then they are impressed how practical it is. Today there are ‘cardbox babies’ from Finland to Alaska and Japan as Finnish Baby Boxes have been shipped to over 80 countries since its launch in December 2014. The box has proven to be a popular baby shower gift and many are bought by friends or grandparents-to-be, who like to give practical help to new parents. It is tips like this and many others, such as when to cut a baby’s nails for the first time or how to use skin contact to build a relationship with a baby, the Finnish Baby Box dads want to share more in the future and are planning to include an educational side to the baby box itself. It is all part of why the company was formed: to help new parents know where to begin with a newborn. 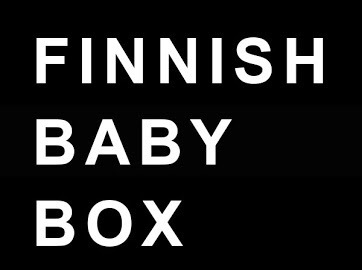 Availability: Finnish Baby Box is available globally through the company’s website http://www.finnishbabybox.com. Price EUR 399, around GBP 340 including shipping. INFO BOX – What is the Finnish Baby Box? • The Finnish maternity package was created in the 1930s to reduce infant mortality which is now among the lowest in the world. • The package rose to international headlines in 2013 when the British royal family, Kate and William, were gifted one as they were expecting their first child. • A 2013 BBC article on the Finnish maternity package was read by millions and became the news site’s first story to be shared 1 million times. • Over 90% of first time parents in Finland choose to receive the box instead of a maternity grant. • Finnish Baby Box was founded in 2014 by three Finnish dads impressed by the national maternity package. They want to give new parents everywhere the opportunity to receive a similar starter package to parenthood. • The Finnish Baby Box includes around 50 products which are the same or similar to the national package. All are high quality unisex products designed in Finland. The winter clothing is chosen according to the climate and the due date of the receiver. • At first the trio of dads had baby products fill their living rooms, saunas and storage spaces, but now the company has an office and warehouse in Helsinki. 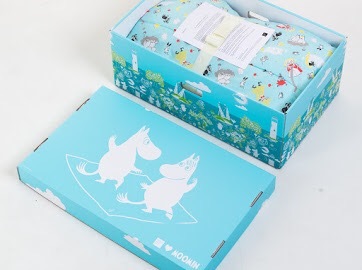 • A premium Moomin-box was launched in August 2015. Next Books | Can I Join Your Club?